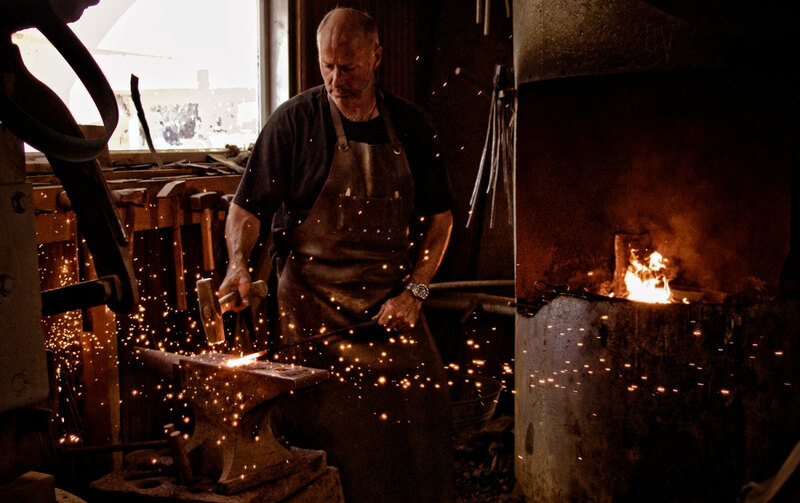 Ever wanted to have a go go at blacksmithing or knife making? We offer a full day activity from 8.30 am to 4.00 pm Booking is essential. We include lunch, a selection of gourmet pizzas provided by Wakefield’s own Cafe Rhubarb. You do not need any previous experience or skills – just enthusiasm and a willingness to give things a go. 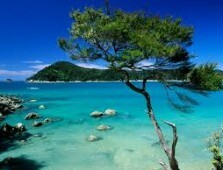 We offer a unique day within the Nelson region and cater for all abilities. However, due to the nature of the activity, we only accept children who are 13 years or older with adult supervision. 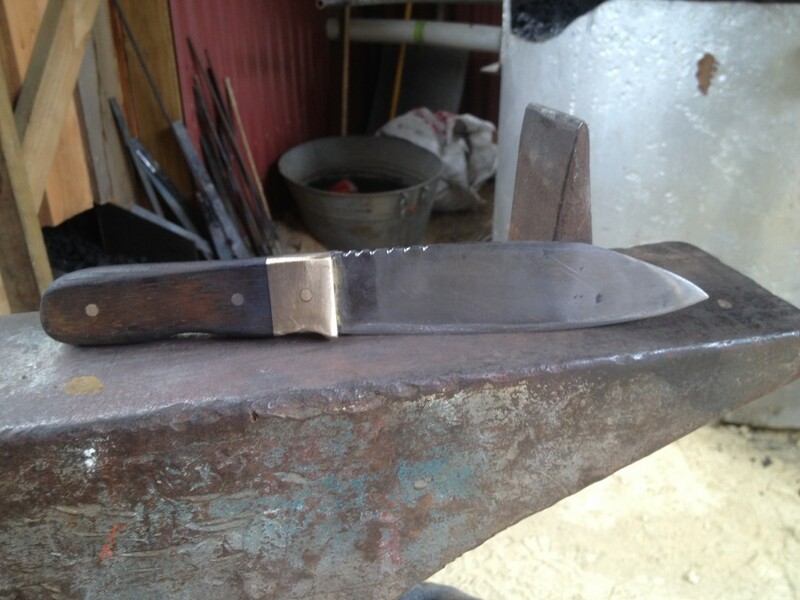 The cost per person is $180 , which includes lunch, all materials, our knowledge and at the end – a complete knife. Payment can be made on the day by credit card, debit card or cash. 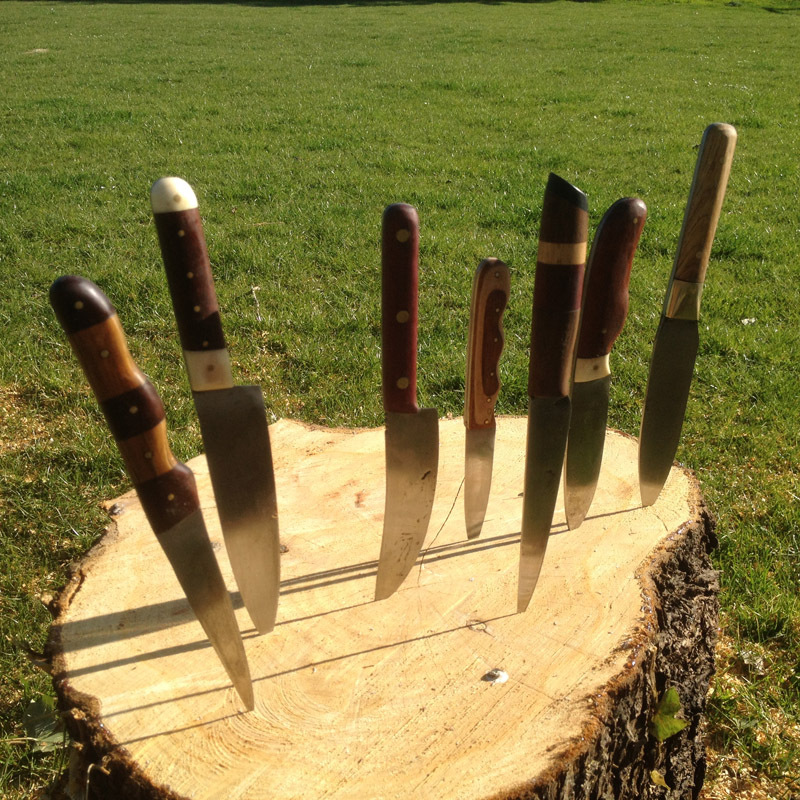 Our knife-making day is the ideal gift for those hard-to-buy for men ( or women ) in your lives, and also makes an great activity day to celebrate birthdays, team building days or simply to try something different. Come prepared to get messy – old clothes and shoes that cover your feet (no jandles). We operate rain or shine, so no need to worry about the weather. Bring a camera and join us for a day to remember. Make a Booking Enquiry We offer a full day activity - therefore bookings are essential. 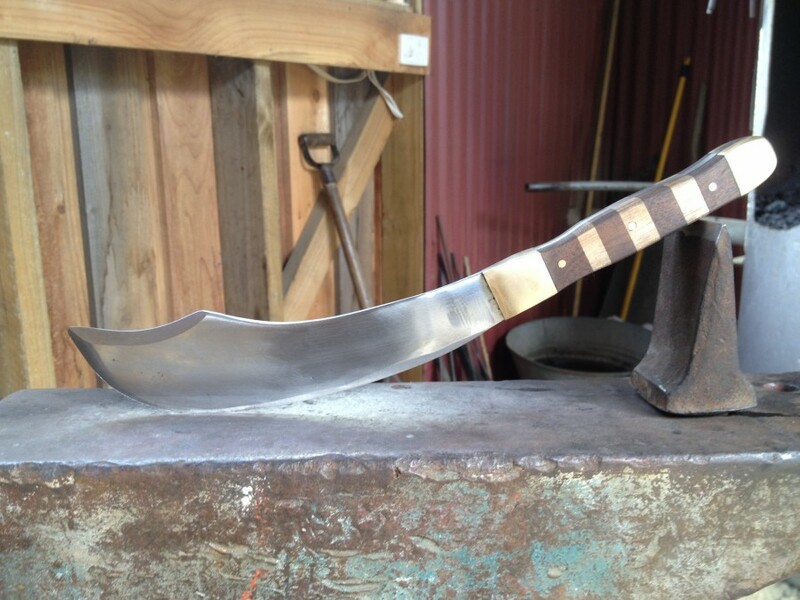 You can forge your own blade from raw steel, and craft your own handle - creating a unique knife to be treasured forever. 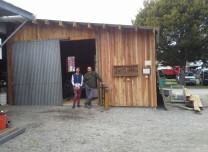 As we are situated at Higgins Heritage Park, Wakefield, you may also like to visit their various museums. 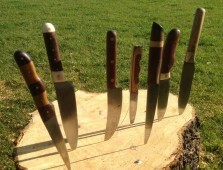 Other Activities In The Area Making your own knife is a pretty special activity - and one that you get to benefit from for years to come. However we understand that not everyone in your party may feel excited about the prospect - so here is a helpful guide to other activities in the area for those that are not so keen!